Female Driving Lessons, Crash Course Assessor, Pass Plus Instructor. 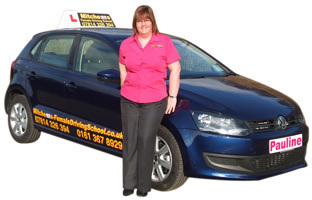 Hello my name is Pauline and I am a fully qualified driving instructor for Mitchell’s. I am a RoSPa Advanced driver which I passed in 2012. Being a Driving Instructor has enabled me to pass on my skills and knowledge and to change people's life's for the future.